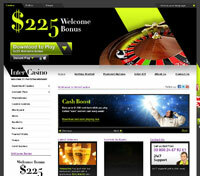 InterCasino has long been one of the most competitive online casinos. How have they held up over the years? Read the below review to find out. The one thing that you might notice immediately about InterCasino software is how amazingly realistic it is. They’ve pulled no punches when it comes to making their software that way and that is why they have the love and respect of so many online casino players. Even seasoned professionals will say that they haven’t seen many out there like InterCasino and that in and of itself should be a good indication that in the area of software and graphics this online casino operation has definitely stood the test of time and passed with flying colours. If you want to play games at InterCasino, you’ll be able to choose from hundreds. Games like blackjack, roulette, slots, baccarat, craps and assorted casino card games are just some of the massive selection of games that InterCasino can bring to the table. If you want to play the world-famous Marvel slot machines from Cryptologic, InterCasino is definitely one place where you could get that done. As of right now, the main bonus that is being offered by InterCasino is a decent first time deposit bonus worth 100% up to $£€900 plus 110 Free Spins. If you want to claim this bonus you do need to make sure that you first deposit is at least $10 in size. You can deposit more than this if you want, but this is the minimum value required in order to get credit and get the bonus cash. One of the good things about this bonus is that you can use it to play blackjack and roulette, two games that are typically restricted from online casino bonuses by many of the other casinos that are in business today. The promotions don’t end there however as special tournaments, reload bonuses and all kinds of other promotions will regularly be going on at InterCasino. In fact, you can even do a promotion right now where the end result might be you getting a trip to outer space courtesy of InterCasino. 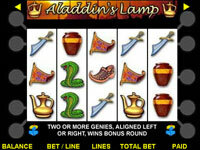 It is clearly one of the most unique bonuses available in the realm of online casino gaming. Players from the United States are not allowed to play online at InterCasino. In addition to FAQ documentation that is readily available on the InterCasino website, you can also get help from the award-winning InterCasino support staff through e-mail (support@intercasino.com) and phone (00-800-24-67-92-61 or international at 00-357-22-55-26-06). As you can see, InterCasino is still very competitive today despite being one of the oldest casinos around. Rather than wilting away, they have gained experience and then used that experience to create an online casino operation that quite frankly is hard to beat.